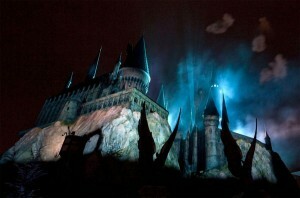 For some “Harry Potter” fans, watching the movies, reading the books, and visiting the theme park isn’t enough. They want to BE Harry Potter – to find out what it's like to be a student at the magical school Hogwarts and truly live the life of a wizard or witch. If you are one of those fans, The College of Wizardry is here for you. The event is a LARP (live-action roleplaying game) in which “Potter” fans can travel to a castle in Poland and pretend to be professors, students, and other characters at the imaginary Czocha College of Witchcraft and Wizardry. According to the event’s website, it’s put together by volunteers from Denmark and Poland.